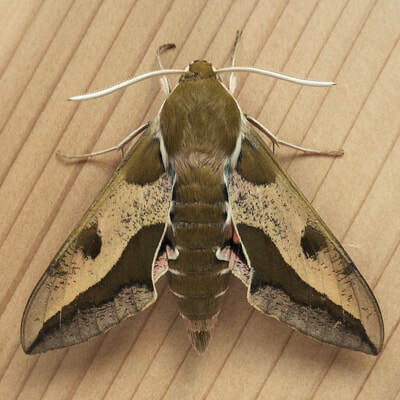 The genus Hyles has 7 species in the USA, and 27 species distributed throughout the world. General Information: These are generally medium sized moths. The forewings are generally marked with cream and brown. 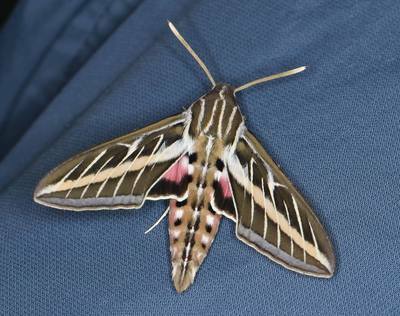 The hindwings often have pink/red coloration. The body is fairly short and truncate.